With Designer Series Paper as charming as the Sweet Soiree Specialty DSP, you don't need much else create beautiful cards! The Sweet Soiree Suite is the perfect assortment of products for birthdays, weddings, and other celebrations. Check out all of the items in this suite in this video from Stampin' Up! Scroll to the bottom of this post for a complete list of supplies. Powder Pink card base: 8 1/2" x 5 1/2", scored and folded at 4 1/4"
Sweet Soiree DSP: 4 1/8" x 5 3/8"
Powder Pink cardstock: 4" x 1"
The sentiment was stamped with Versamark ink and then heat embossed with Silver Stampin' Emboss Powder. To avoid extra, unwanted spots of embossing, rub the cardstock with the Embossing Buddy prior to stamping. The cardstock was attached to the card with Stampin' Dimensionals. The silver embossed vellum leaf is from the Sweet Soiree Embellishment Kit. It is adhered to the cardstock using the Fine Tip glue pen. A small bow made from the Silver Baker's Twine is attached with a rolled up Mini Glue Dot. Thank you for visiting my blog today! If you live within the United States, I would love to be your Stampin' Up! Demonstrator. 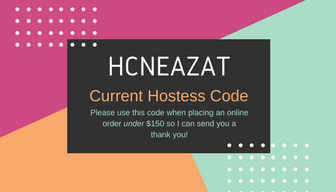 When you shop online with me, please consider using the current hostess code on orders under $150 and allow demonstrator contact so I can thank you with a hand-stamped card.